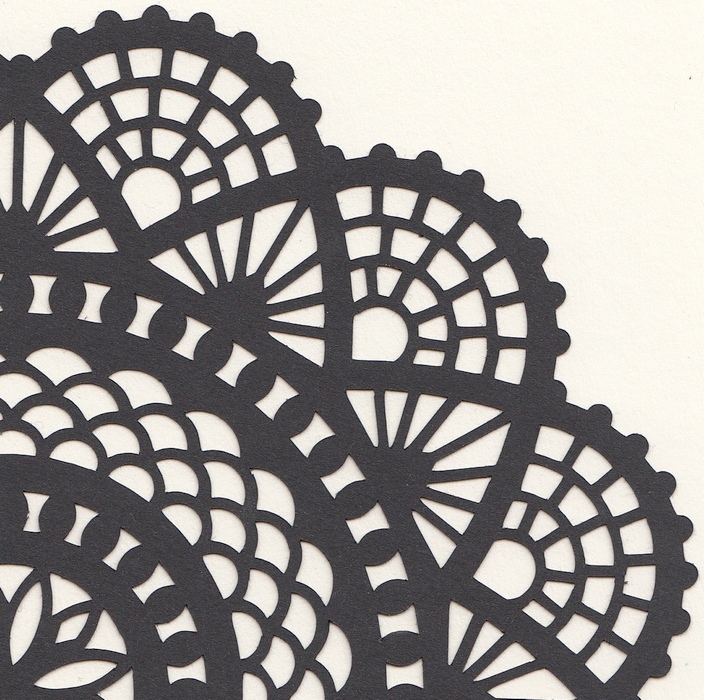 What cardstock to use when cutting intricate designs. My designs are pretty intricate so you need a crisp paper and not to thick, 65 lb is perfect. I love the WorldWin cardstock like the ColorMates. 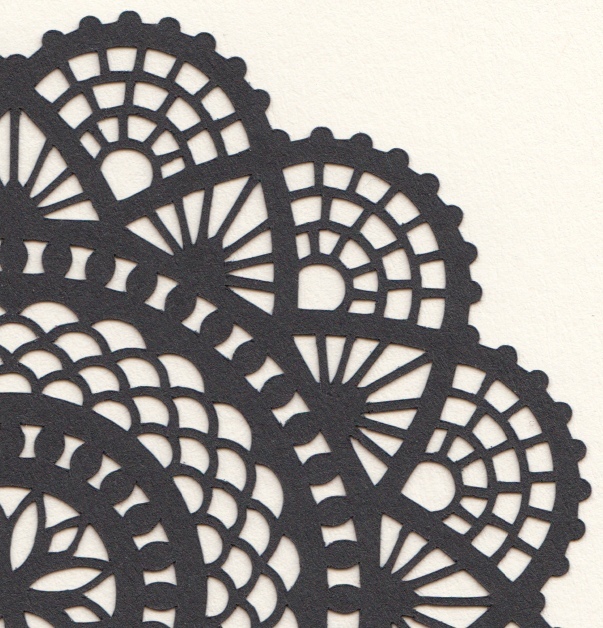 It cuts like butter and are perfect for intricate designs but any similar paper should work. 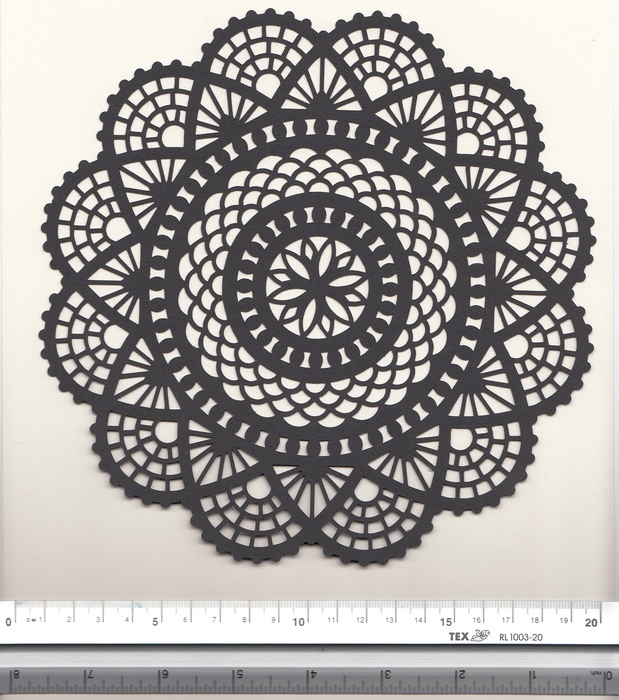 Always use a sticky mat so the cardstock doesn’t move when cutting and be sure your blade is sharp. Blade set to 2 or 3 depending on how new my blade is. I can’t recommend the cutting settings for other machines because I don’t have any experience with these. 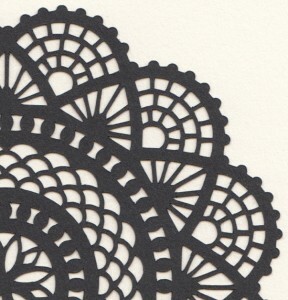 How intricate can I cut? 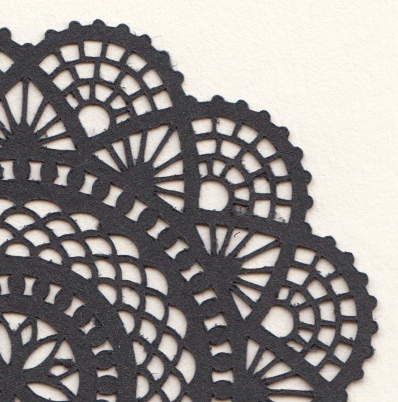 When I draw a design, I always have in mind that I want it to cut well in most cutting machines. Therefore, I try to make the lines not too thin and inner angles not to pointy. If I only should consider what my Cameo is capable of, I would be able to draw even more detailed and delicate designs. But I know that not all machines are as good as my Cameo. First cut. Original size. 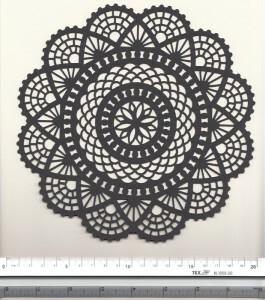 The doily measure just over 7.5 inches (19,5 cm) in diameter. Close up on the first cut. Nice and clean. No weeding was needed, all the small parts stayed on the mat when lifting off the design. Here are the two next cuts. The one on the left measure 4 inches (10 cm). The one on the right only 2,5 inches (6,3 cm). Close up on the second cut. Still nice and clean. Only a little weeding was needed. Close up on the third cut. Here you can see that the edges are slightly shaggy but you never notice it when looking at it in real. It’s so tiny so it looks just fabulous when holding it in your hand. This size took a little bit longer to weed. 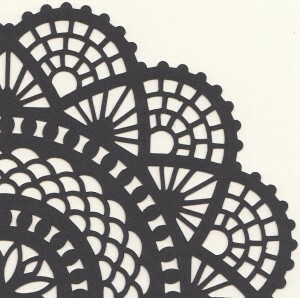 I think it’s amazing that you can cut the design so small and still get a great result. 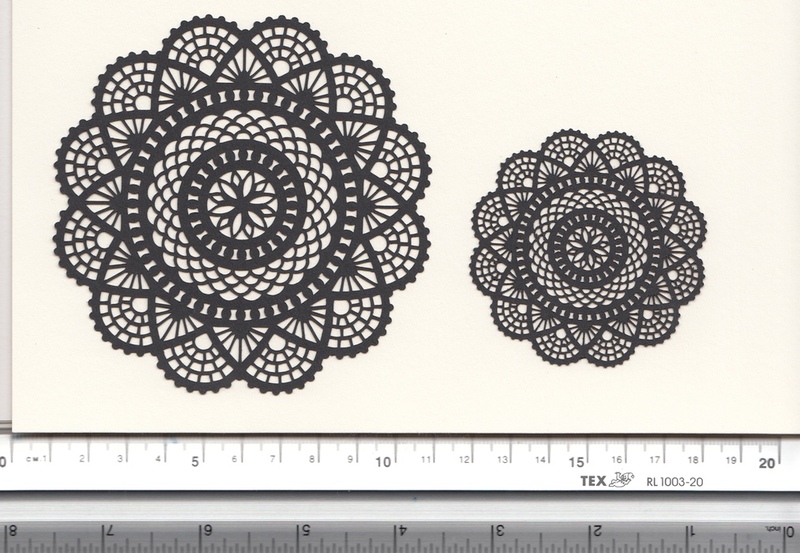 The result shows that if you have a good cutter, you should be able to cut most of my designs much smaller than the size they are in the files.